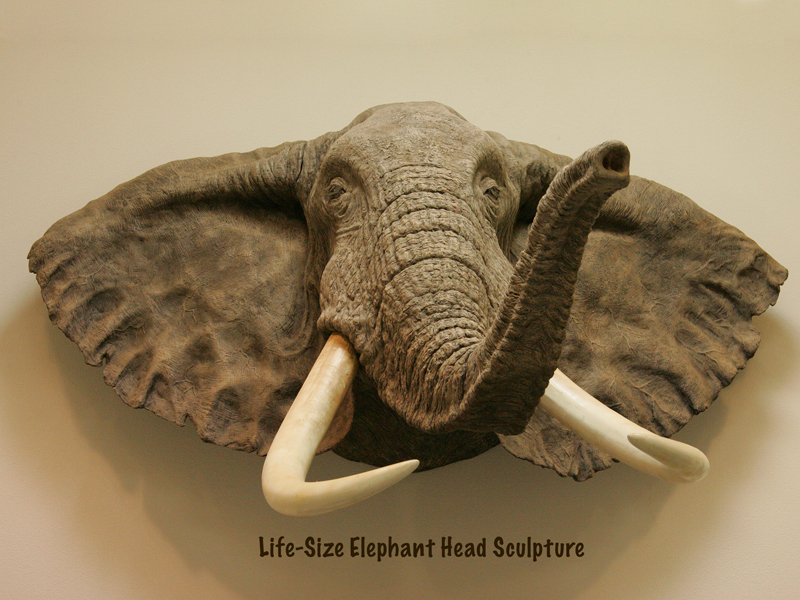 This life-size sculpture is the only piece that is offered in cold cast material to make it lighter in weight to hang on a wall or fireplace. It is more lifelike than a real elephant head mount because when the elephant skin is tanned for mounting, the characteristic wrinkles are smoothed out. Doug has used glass eyes, and pig hair for the eyelashes. The tusks are cast in ivory colored fiberglass. An impressive addition to animal collections or for display in public places.